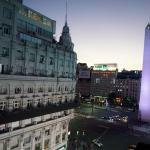 10th Argentine Congress of Integral Adolescent Health is organized by Argentine Society of Pediatrics / Sociedad Argentina de Pediatria (SAP) and will be held from May 20 - 22, 2019 at Exe Hotel Colon, Buenos Aires, Argentina. The target audience for this medical event is health professionals, teachers, community leaders, and all those professionals interested in the adolescent's life course. • Explore and deepen aspects related to the current sociocultural context in order to understand the different demands, needs and projects according to gender, age, socio-economic and cultural situation. • Share progress in addressing "emerging difficulties". • Update concepts and provide tools to improve our clinical practice with adolescents. • Understand and discuss the comprehensive approach to new sexualities. • Generate a space for debate and intersectoral reflection, in order to stimulate the articulation and integration of health, education, justice and community sectors. • Update the legal framework related to adolescent health care.